Thank you for playing KingCraft! We have solved some little bugs in this new version. Join two young princes to splash fruit and swap jewels in this match 3 puzzle game. Fly on your dragon and conquer new lands to be the king of every island. Complete the puzzles to improve your farms and produce more candy fruits, soda jam, gummy jewels and gold for your kingdom! Crush the castles and defeat the counts, dukes and kings! Don’t stay frozen and be the most valorous knight of the empire with this original swap and match 3 game full of juicy jelly, choco candies and jewels! 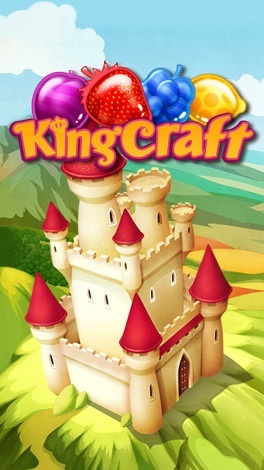 Download KingCraft - Sweet Candy Blast! for free. Swap & combine fruits and candies in this match 3 puzzle quest adventure! Help the prince & princess to conquer every kingdom. Fly through lots of islands and discover adventures and quests. Beat the puzzles to own the candies you’ll find in farms, forests or mountains, and use power ups to blast and splash gummy & jelly toffee! 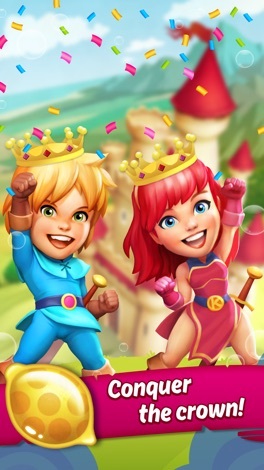 Join the heroic prince and the brave princess in this matching adventure. 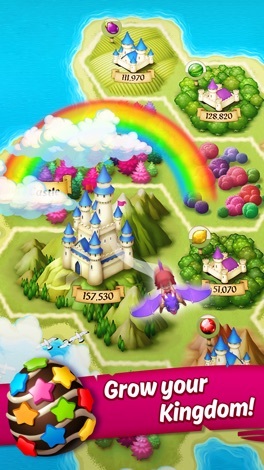 Ride your cute and powerful dragon and fly over the farms of KingCraft - Sweet Candy Blast! 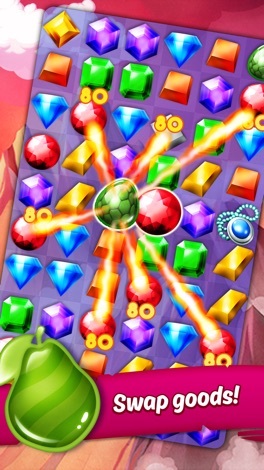 Combine and splash tons of strawberries jam, caramel toffee, lemons soda, juicy oranges, the sweetest watermelons… And swap, connect, combine & blast thousands of gems, jewels or diamonds! Could you conquer the crown before your friends? Travel through all the magical worlds and achieve hundreds of cities by swapping or splashing gummy fruits, sweet toffee and caramel jewels through challenging matching puzzles. Are you tired of candies, jam and farm saga? Try this ORIGINAL puzzle game! -Non-lineal gameplay, so you can choose how to expand your kingdoms. -Experience different maps and missions! -Play with your friends and start matching juicy jam soda and the sweetest candies! -Discover and forge your own path.Become the king of queen of this saga! 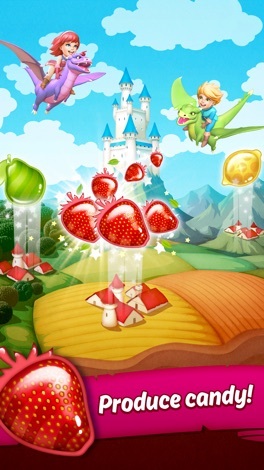 -Start as a knight and increase your rank by exploding juicy fruits and gummy jewels! -Colorful and cheerful, full of amazing light effects. -Easy to play but hard to master, adults and children will enjoy playing! -Lots of adventures, puzzles, missions and quests that will attract to everyone. Download now and start the clash of fruits in this highly addictive match 3 puzzle game saga for free. Will you be able to overcome the magical quests and achieve the glory? Start from scratch and learn manicures with ease and joy. We only give you courses that you truly want. We walk together as companies, sharing the same interest. Konferanse App fra Estate kunnskap som gir deg nyttig informasjon om våre arrangementer. Appen gir deg enkel tilgang til program, deltakerlister og samarbeidspartnere. Få viktige oppdateringer og meldinger direkte på telefonen.